I discuss this in my linked blog post. But, in brief, the intuitive application of probability theory to the 2-slit experiment is that, if y is the position of the photon and x is the slit that the photon goes through, that p(y) = p(y|x=1)p(x=1) + p(y|x=2)p(x=2). But this is not true. As we all know, the superposition works not with the probabilities but with the probability amplitudes. Classical probabilities don’t have phases, hence you can just superimpose them via the familiar law of total probability. Quantum probabilities work differently. This seems to be a widespread misconception. As Tim Maudlin explains in the comments, there is no contradiction with classical probability theory. In quantum mechanics, a photon is not a classical particle, but also has wave properties. The photon history is not just the sum of two particle possibilities. It can also be a wave that passes thru both slits at once. 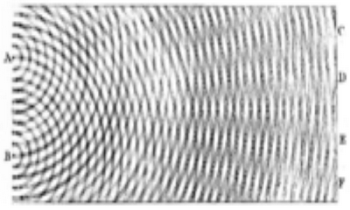 The double slit experiment does show that light has wave properties. Everyone has agreed to that since 1803. If you deny that light is a wave that can go thru both slits at once, then you can get a contradiction. That is another way of saying the same thing. But the contradiction is with the classical particle theory of light, and not with probability theory. There are people who have tried to make sense of quantum mechanics by using quantum logic or some modification to the laws of probability. These approaches have never worked. I can't blame Gelman too much. There are a lot of physicists who, like Einstein, really want to believe that quantum mechanics is really a theory of imperfect info about hidden variables. It is not. Sure, a physical experiment can violate a mathematical law. The classic example is, if in a universe with closed curvature, you construct a large enough triangle, its angles will not add up to 180 degrees. Another classic example is that, for various particles, Boltzmann statistics do not apply, instead you have to use Fermi-Dirac or Bose-Einstein statistics. Boltzmann statistics is a mathematical probability model that does not apply in these settings. Another example is, in the two-slit experiment, p(A) does not equal the sum over B of p(A|B)p(B). In all these cases, you have a mathematical model that works (or approximately works) in some areas of application but not others. The math is not wrong but it does not apply to all settings. This is silly. Yes, the math of flat space does not necessarily apply to curved space. Probability is a funny subject with multiple interpretations, but none of them are contradicted by light having wave properties. The 2-slit data indeed violate the laws of joint probability. I learned about this in physics class in college. In quantum mechanics, it is the complex functions that superimpose, not the probabilities. It is the application of the mathematics of wave mechanics to particles. The open question is whether it might make sense to apply wave mechanics to macroscopic measurements. I would be interested in any textbooks say it wrong in this way. Surely it must seem odd that we have a notion of probability that works in all situations except quantum mechanics, and we have some other notion that applies to quantum mechanics, but no one has figured out a way to make that probability notion apply to anything other than quantum mechanics. The answer is that quantum mechanics uses the same logic and probability that everyone else does. It ought to cause some pause that Feynman himself makes exactly this erroneous claim about the 2-slit experiment in the Lectures. Feynman does not mention locality, unitarity, or causality. He makes a straight claim about the data, based on a bad argument—exactly the argument I was attributing to Andrew. So if Feynman screwed this up, it would not be odd of many other physicists do too. Feynman was a big advocate of particle interpretations of quantum mechanics. So he thought that the strangest part of quantum mechanics is the experiments showing wave behavior, like the double-slit experiment. I intended to post this 3 months ago, but somehow I did not. Be sure and read the knowledgeable comments. There are pretty much two possibilities -- that string theory makes no testable predictions, and that the LHC has disproved the theory. When Michio Kaku or even Brian Greene were explicitly or at least implicitly promising you time machines that will produced because of advances in string theory, they oversold the practical power of string theory. When someone would "promise" that it's guaranteed that an experiment that has already been performed would have to observe some beyond-the-Standard-Model physics, they surely oversold the "urgency" of string-theoretical predictions as well – simply because no BSM physics has been observed yet. However, when Edward Witten "guessed" that the single right string theory compactification capable of predicting all particles' properties would be found within weeks back in 1985, it was just a guess that turned out to be overly optimistic but that reflected this top scientist's best judgement at the moment. There were very good reasons to think so. Lumo brags about how well the theory works, but cites no published papers to back it up. In 1964 Bell proposed a test to settle once and for all whether quantum mechanics really is as weird as it famously appears to be, in that it allows for instantaneous communication between two particles, no matter how far apart they are, on condition that they were once entangled together in the same place. The short answer, as experiments carried out over subsequent decades have shown, is yes, it is. No that is not correct. The theory and experiments show a correlation between measurements of the particles, but correlation does not imply causation. There is a Nobel Prize waiting for anyone who can show instantaneous communication, but no one ever has. Bell’s test, however, also led physicists like Dr Ekert to a remarkable insight: made sufficiently sensitive the Bell test could be used to guarantee perfectly secure communication — even if the equipment used to send and receive those communications had been sold to you by a manufacturer subverted by your enemies. More nonsense. Quantum cryptography does not even need entanglement. Yes, it can be done with entanglement, but there is no advantage to doing so. 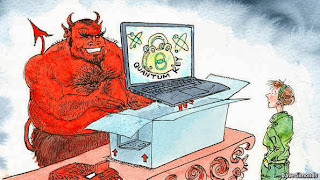 None of these quantum crypto systems have ever been good for anything. The only argument for them is the belief that a physical assumption is somehow better than a mathematical assumption. But it is not. In fact, we heard this from none other than Lenny Susskind (famous for his efforts, along with those of ‘t Hooft and many others, to oppose Hawking’s view that black holes require no revision of quantum mechanics, but now himself deeply puzzled by the firewall problem — the failure of what Susskind called `complementarity’). Susskind stated clearly his view that string theory, as currently understood, does not appear to provide a complete picture of how quantum gravity works. Again, let me point out that the error that Susskind, Polchinski, and others were doing in recent years is a special case of Einstein's error in the EPR papers. Einstein was assuming that once the two parts of an entangled photon pair separate, they must have objective properties in the classical sense which, via Bell's-theorem-like reasoning (if I use the equivalent "newer" toolkit), implies that the correlations can't be too large or too universal. In the same way, the "firewall problem" advocates think that the properties of a black hole such as its positions may be treated as classical observables once the black hole is created. While Einstein (and EPR) would think about small systems and pairs of particles, their point was much more general and the "firewall problem" champions' mistake (or two related mistakes, in the counting done above) is not just analogous but it is a special case of Einstein's error. As you can see, I think that most of these misunderstandings, especially by the big shots, boil down to their subtle (?) misunderstandings of quantum mechanics, more precisely attempts to treat certain questions classically even though it is totally paramount to treat them quantum mechanically to avoid "paradoxes" they want (?) to avoid in their final understanding of quantum gravity. Lumo defends quantum mechanics and string theory, of course. Peter Woit has more detail on the failure of string theory. With all the good reasons to give up on string theory, the black hole firewall paradox is an odd one. They all seem to have an Einsteinian preconception of a complete unified theory. 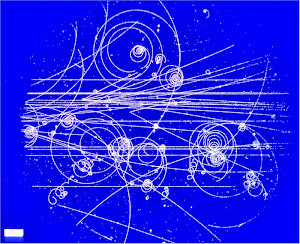 All the string theorists seem to have believed that there ought to be supersymmetric (SUSY) particles in the range of energies accessible to the LHC. The LHC has not found any such particle, and is systematically eliminating the possibility. There are different reasons for believing in SUSY. For some of those reasons, the LHC should have found a SUSY particle. Theoretical physics is at a crossroads right now…In a sense we’ve entered a very deep crisis. You may have heard of some of these models…There’ve been grand unified models, there’ve been super-symmetric models, super-string models, loop quantum gravity models… Well, nature turns out to be simpler than all of these models. If you ask most theorists working on particle physics, they’re in a state of confusion. The extensions of the standard model, like grand unified theories, they were supposed to simplify it. But in fact they made it more complicated. The number of parameters in the standard model is about 18. The number in grand unified theories is typically 100. In super-symmetric theories, the minimum is 120. And as you may have heard, string theory seems to predict 10 to the power of 1,000 different possible laws of physics. It’s called the multiverse. It’s the ultimate catastrophe: that theoretical physics has led to this crazy situation where the physicists are utterly confused and seem not to have any predictions at all. That is the problem with all these theories that aim to replace the Standard Model. The main reason for their existence is that they are supposed to simplify physics, but they are actually much more complicated. The Standard Model is by far the simplest model that has any similarity to reality. My guess is that the crucial insight will be more philosophical/interpretational than mathematical. Likewise, the Lorentz transformations were discovered and analyzed in the context of electromagnetism almost 2 decades before Einstein came up with special relativity. We should get the History of Lorentz transformations correct, if it is going to be used as an excuse for useless theoretical investigations. Lorentz was not just pursuing some mathematical exercise that was detached from the physical world. From the very start, he and FitzGerald were using the transformations to give a physical explanation for the Michelson-Morley experiment. It is true that Einstein was mainly regurgitating ideas that had been published many years earlier. I think that the commenter was trying to say that 20 years of mathematical theorizing could be justified by some Einstein genius finally figuring out how to apply it to physics. But the relativity history is more nearly the opposite. After 20 years of applying relativity to physics, the consensus among historians is that Einstein used postulates instead of experimental evidence. It is interesting to note that the most famous physicist of the 20th century, Albert Einstein, only faced the anonymous peer-review system once, for a 1936 paper he wrote, with his collaborator Nathan Rosen, disputing the existence of gravity waves in general relativity, Einstein's famous theory of gravitation. This paper, considered controversial at the time, was submitted to the Physical Review, the premier American physics journal then and now, and was duly rejected by the anonymous referee. Einstein wrote an angry letter to the editor, complaining that he had not been warned that he would have to face an anonymous review system when he submitted the paper for publication, and declaring that he would never submit a paper to Physical Review again. He was good to his word, sending future papers only to journals in which the editor made the decision to accept or reject papers. Unfortunately, there are no such journals remaining today. An obvious question arises: Would Einstein have succeeded so phenomenally as a physicist with his typically iconoclastic approach to physics, in which he was usually outside the box of mainstream physics of the day, if he had been subjected to the peer-review system of publication as it exists today? In my opinion, the answer is no. That Einstein paper was rejected for good reason, as the anonymous referee wrote a detailed analysis showing that it was wrong. While Einstein complained about it, he ultimately decided that the referee was right, and stole his analysis for the revision that was published. Very few of Einstein's famous papers were really outside the box. His special relativity papers were affirming the theory of the leading physicists of the day. A large part of Einstein's success was his ability to steal the ideas of others and publish them as his own. Perhaps better refereeing and editing would have forced him to cite the previous work in his papers. If that had happened, he would not have been such a phenomenal success. Most of Einstein's later papers on unified field theory were garbage, unfit for publication. Maffat has his own complaints about refereees. He got his start by writing letters to Einstein in the 1950s. He has published a number of far-fetched theories, but none of them have any experimental verification, as far as I know. The reader has his own theories for going faster than light. I do not see how that is possible. Is SR applicable to phenomena in which objects accelerate? The answer is, of course, Yes. Special relativity would be useless if it were requiring all objects to move without any acceleration; after all, almost everything in the real world accelerates, otherwise the world would be useless. The correct claim similar to the proposition above is that special relativity has the same, simpler form in coordinate systems associated with non-accelerating observers. But that doesn't mean that we can't translate the predictions of a special relativistic theory to an accelerating frame. Yes, we can. It's as straightforward as a coordinate transformation. Fictitious forces will appear in the description. All of them are fully calculable. The earliest papers on SR considered accelerating electrons, so there is no good reason to exclude acceleration. Acceleration might be excluded because Einstein's 1905 paper had a section on kinematics, and that is sometimes regarded as the simplest and purest version of the theory. With that view, general relativity (GR) is the real theory, and SR is just a special and idealized case of little practical significance. As Lubos explains, SR is the big theory. Its change to physics was broad and deep. GR is just the logical extension to gravity. GR is a lot more difficult mathematically, but most of the physics is in SR.
Our universe is a very unlikely place. Alter some of its settings even slightly and life as we know it becomes impossible. In an attempt to unravel this "fine-tuning" problem, physicists are increasingly turning to the notion of other universes. If there is an infinite number of them in a "multiverse" then every combination of settings would be played out somewhere and, of course, you find yourself in the universe where you are able to exist. It may sound crazy, but evidence from cosmology and quantum physics is pointing in that direction. 11 What's so weird about prime numbers? The fact you can shop safely on the internet is thanks to prime numbers – those digits that can only be divided by themselves and one. Public key encryption – the heartbeat of internet commerce – uses prime numbers to fashion keys capable of locking away your sensitive information from prying eyes. And yet, despite their fundamental importance to our everyday lives, the primes remain an enigma. An apparent pattern within them – the Riemann hypothesis – has tantalised some of the brightest minds in mathematics for centuries. However, as yet, no one has been able to tame their weirdness. Doing so might just break the internet. No, this is not a scientific question and a solution will not affect the internet. 17 What's at the bottom of a black hole? No, relativity teaches that we can never know what happens inside a black hole. M-theory cannot tell us anything about it. 20 Is time travel possible? Time travellers already walk among us. Thanks to Einstein's theory of special relativity, astronauts orbiting on the International Space Station experience time ticking more slowly. At that speed the effect is minuscule, but ramp up the velocity and the effect means that one day humans might travel thousands of years into the future. Nature seems to be less fond of people going the other way and returning to the past, however some physicists have concocted an elaborate blueprint for a way to do it using wormholes and spaceships. It could even be used to hand yourself a present on Christmas Day, or answer some of the many questions that surround the universe's great unknowns. Time travel to the past is science fiction. Simple thought experiments show that the concept does not make sense. Papers on crackpot physics often start by invoking Kuhnian paradigm shifts, Galileo, and Einstein. According to Kuhn (1996, p. 85), a radical change in our physical worldview is not just due to the invention of a mathematical formalism or to new empirical information coming from novel experiments, but it also implies a thorough modification of the fundamental concepts with which we interpret the world of our experience. This is particularly evident in the scientific revolution ushered by Galileo (Koyré 1978), which consisted essentially in the discovery of the equivalence between uniform motion and rest, two notions that had always been sharply contrasted, but whose indistinguishability is essential to attribute our planet a counterintuitive state of motion. The same moral applies to Einstein’s Special Theory of Relativity (STR). Not by chance, Rovelli’s relational interpretation of quantum mechanics (Rovelli 1996, 1998) draws inspiration from the latter theory, by correctly claiming that Einstein’s 1905 paper did not change the existing physics, but provided a new interpretation of an already available formalism. As is well-known, this interpretation was obtained via a critique of an implicit conceptual assumption - absolute simultaneity - that is inappropriate to describe the physical world when velocities are significantly close to that of light. It is important to note that it was only thanks to the abandonment of such an assumption – that depends on the “manifest image of the world” (Sellars 1962), and in particular on that belief in a cosmically extended now that percolated in Newton’s Principia - that Einstein could postulate the two axioms of the theory, namely the invariance of the speed of light from the motion of the source and the universal validity of the principle of relativity. What is relevant here is to recall that not only do these axioms imply the relativization of velocity, already theorized by Galilei, but also that of the spatial and temporal intervals (separately considered), a fact that became particular clear with Minkowski (1908) geometrization of the theory. Because of arguments like this, we ought to get the history right. The above history is confused. It is true that Einstein's 1905 paper did not change existing physics. But it did not provide a new interpretation either. That was done by Poincare in 1905, and extended by Minkowski in 1908. Einstein's theory was called the Lorentz-Einstein theory, and neither Einstein nor anyway else saw any significant difference between Lorentz's and Einstein's interpretation. The author is promoting a new interpretation as a Kuhnian paradigm shift. The advantage of this is that no evidence, experiment, or logical argument is needed. No change to existing physics is needed. According to Kuhn, scientists jump on these shifts as big fads, as the new paradigm is not comparable to the old. Galileo's main argument for the motion of the Earth was that the motion caused the tides. If he had accepted the relativity of motion, he never would have had his dispute with the Catholic Church. The Pope even asked him to write a book that describes theories of the Earth in motion and at rest, without advocating either as correct. Galileo wrote a book making fun of the Pope as Simplicio, and ridiculed the idea that the Earth could be at rest. Ball State University president Jo Ann Gora announced that the school would no longer teach intelligent design in science classes following a complaint about the curriculum at the public university. In a statement released Wednesday, Gora said "intelligent design and creation science do not qualify as science," and that it would no longer be a part of the university's science classes. "Incredibly, Gora insists that her university's 'commitment to academic freedom is unflinching,' even while she imposes a gag order on science faculty who think there is evidence of intelligent design in nature," West wrote on the institute's blog. "Memo to President Gora: Academic freedom was designed to protect dissenting and unpopular views among faculty." Apparently intelligent design was one of many topics in an interdisciplinary course on "The Boundaries of Science". The supplementary reading list had books for and against intelligent design. I have no idea whether this was a worthwhile course, but I wonder about all the other unscientific topics being taught in physics departments today. In particular, I wonder about anthropic principle, fine-tuning, many worlds, other multiverses, string and M-theory, black hole firewalls, Laplace's demon, quantum cryptography, scalable quantum computing, Bohmian mechanics and other nonlocal theories, hidden variable theory, Boltzman brains, cold fusion, intelligent extraterrestial life, supersymmetry, quantum gravity and other unified field theories, etc. And of course other departments are loaded with pseudoscientific courses on Sigmund Freud, Karl Marx, Margaret Mead, Immanuel Kant, Jacques Derrida, Stephen Jay Gould, feminist studies, etc. If I were Gora, I would be more interested in getting rid of some of those classes.